The Soft Play Shapes Box has been designed to encourage interaction, confidence, problem solving and co-ordination as the children rock, slide, build and climb with this unique soft play activity set. Designed for use in schools, pre-schools and nurseries for children aged 3 years+. 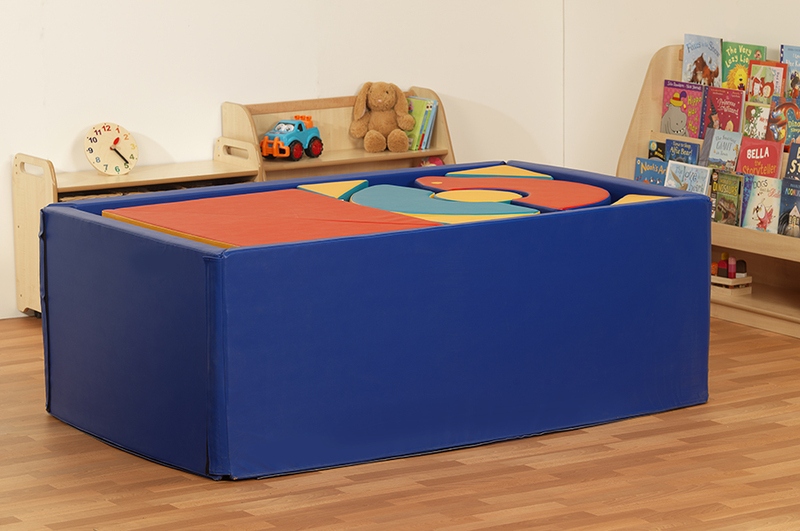 The soft play set includes 14 soft play shapes and 5 large play mats, which connect with heavy duty Velcro to form a sturdy storage box for the complete set. 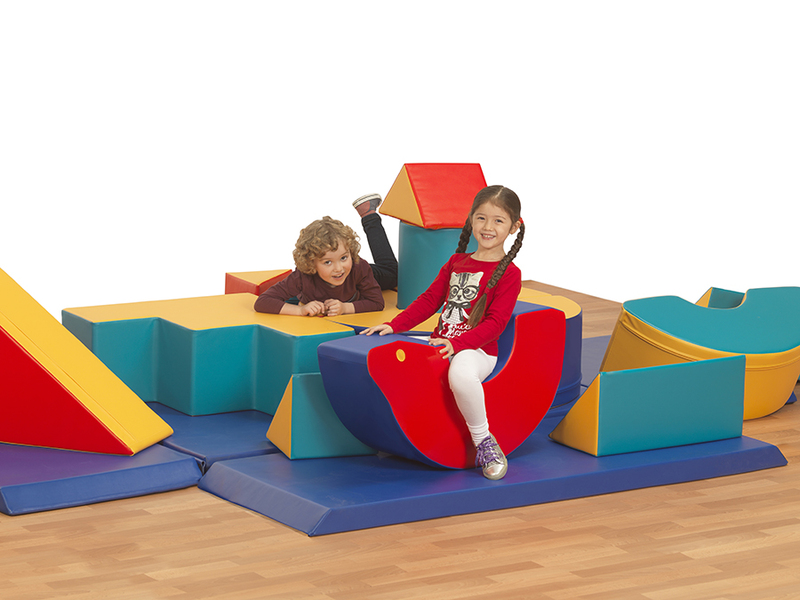 The soft play blocks include 2 slides, 2 steps, 4 triangle prisms and 6 rocking shapes. Manufactured using high density foam core which is resistant to bending, sagging and twisting. Each brightly coloured foam shape is covered with an easy clean, fire resistant cover which can be removed if required.